It is always nice and fruitful to pay a visit to our friends in far east and like last year we had an appointment to the Guangzhou exhibition. The show has been very big with lot of show rooms and plenty of goods. 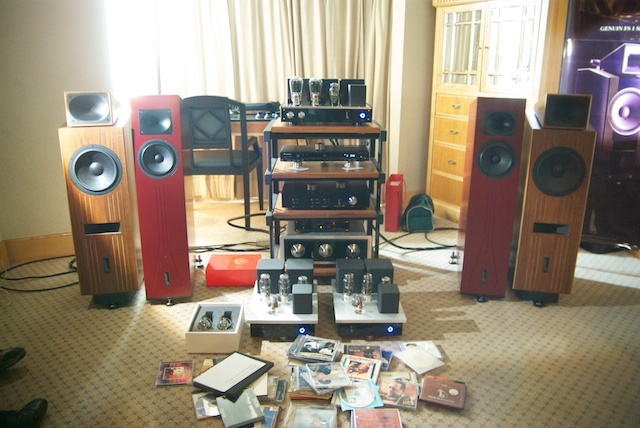 I think that more than 5 floor of the hotel were full of people loving HiFi. The second amazing event was when During a walk trough the exposition, I've heard the italian song "Bella Ciao" performed by an enchanting female voice playing in a corner on a 250W Mark Levinson power amplifier.